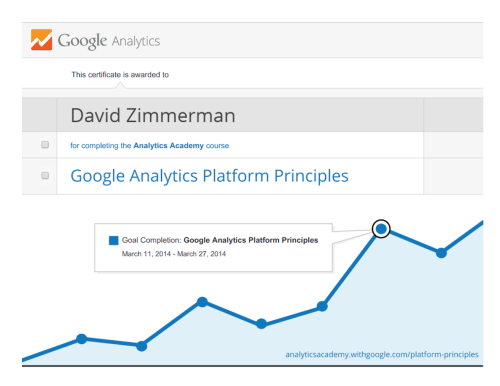 This weekend I took a couple hours out of watching March Madness to take the Google Analytics Platform Principles course. This is a pretty fundamental class, but it’s something that should be required of anyone who does internet marketing professionally. I thought this might be a good stepping-stone to renew my Google Analytics Individual Qualification (which has expired a couple years ago). Not sure where to get started with SEO? Subscribe to our newsletter to learn One Thing you can do to grow your business online, each month.